"Drop it, drop it, drop it, drop it, drop it..."
I hope all the two and four legged members of your family have a wonderful day! Oh my...Peanut has the same look whenever we eat! 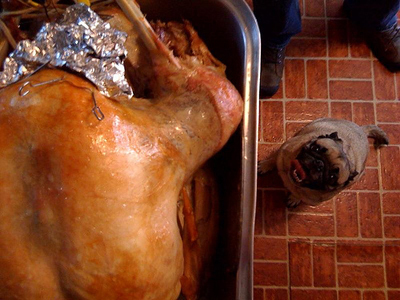 Hope you and your family (2 and 4 legged) had a wonderful Thanksgiving!